This is a little different from the last book, as now we have switched back to our old friend, Percy Jackson. However, Annabeth, Percy’s girlfriend is not in this book. We have also switched camps to a tropical island (figuratively) for Heros. We’re now in New Rome, America. It’s sort of like this East vs. West America thing played out in a Rome vs. Greek world. This is a whole new civilisation that we discover and uncover in this book. It turns out they also did some things in the last books (that were never mentioned). Percy is the son of who? Now that Percy has swapped sides, he’s kind of mixed. 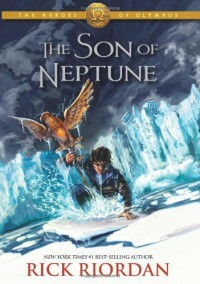 He’s the son of Poseidon, but he’s also the son of Neptune (not really, the book will explain this). We also are introduced to two new support characters: Hazel (daughter of Hades/Pluto), and Frank (son of Aries/Mars). He’s lost his memory except for Annabeth (I mean, who would forget their girlfriend?). As with the last book, the Giants are the enemies of the Gods and demigods alike. Percy, Hazel, and Frank go on a quest to destroy a giant and bring temporary peace to the world (until the next book). Again, with the last book, I think the new characters need warming up to. 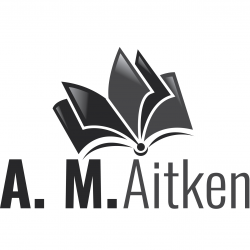 If you liked the last book, I forsee you liking this book. But still, I feel this new series doesn’t live up to the old series. It feels slightly more serious, and I loved the goofiness that came with Percy Jackson.